An original fifteenth-century schoolhouse, which lies in the grounds of Brechin Cathedral, has gone on sale for offers over £125,000 through SPC Scotland. Built in 1429 and still standing, 9 Chanonry Wynd has a rich history as the educational facilities for the cathedral situated in Brechin, an historic town between Aberdeen and Dundee. 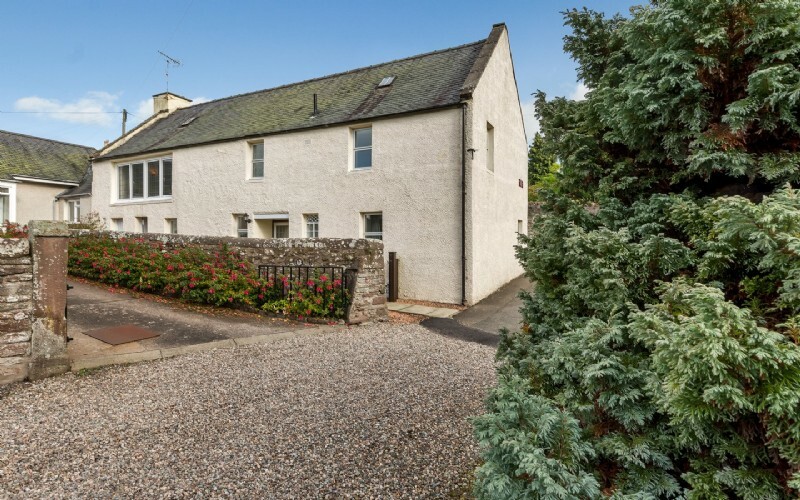 The property is in a peaceful, tranquil position, just a short walk from the cathedral along a narrow wynd lined with old stone walls. The home, with three bedrooms, still retains some period features, including exposed beams in the living space and inset windows. It has two bedrooms and a study or workroom on the ground floor; while upstairs is a lounge, kitchen, double bedroom and shower room. There are small gardens which are easily kept, while a herbaceous border could be transformed into a parking area. Caroline Young, spokeswoman for SPC Scotland, says: “This property is in a really idyllic location, surrounded by history and close to the outstanding natural beauty of Cairngorm National Park. The cathedral in Brechin dates from the 13th Century, and there is also an eleventh century round tower owned by Historic Scotland, so Brechin has the feel of a medieval town. 9 Chanonry Wynd is on sale for offers over £125,000, through solicitor estate agent Shiells and SPC Scotland.